Vico Monti, Awarded the 2018 TripAdvisor Certificate of Excellence for providing consistently outstanding experiences and whose owners offer first-class customer service to their guests. 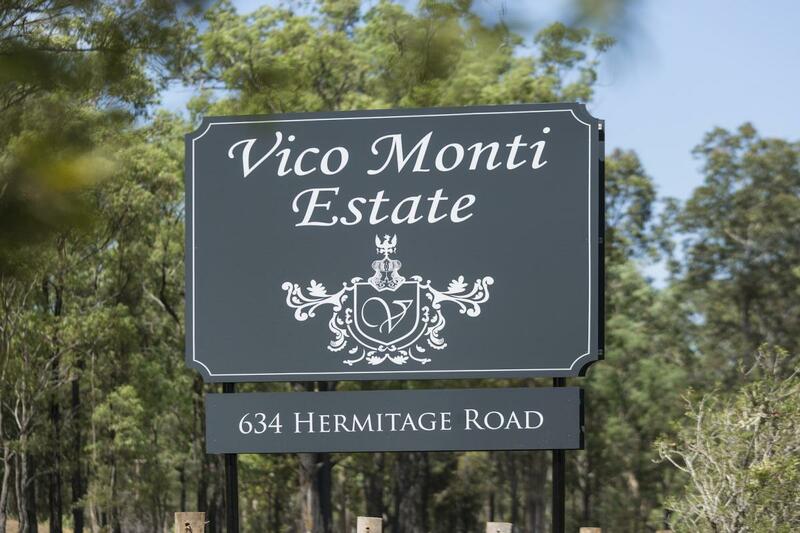 Vico Monti is a beautifully styled 4 bedroom house and 1 bedroom guest studio with pool table, bocce court and plunge pool with deck, all set on twenty-five acres with hillside views of this estates private vineyard. 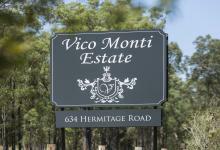 Located in the heart of the Hunter, Vico Monti is the perfect place for 13 guests to enjoy the good life. In true Italian style, this beautiful accommodation has been designed with hospitality in mind and features spacious indoor and outdoor areas to bring friends and family together to entertain, relax, swim and celebrate with fine wines. Vico Monti has everything for an ideal vineyard stay. 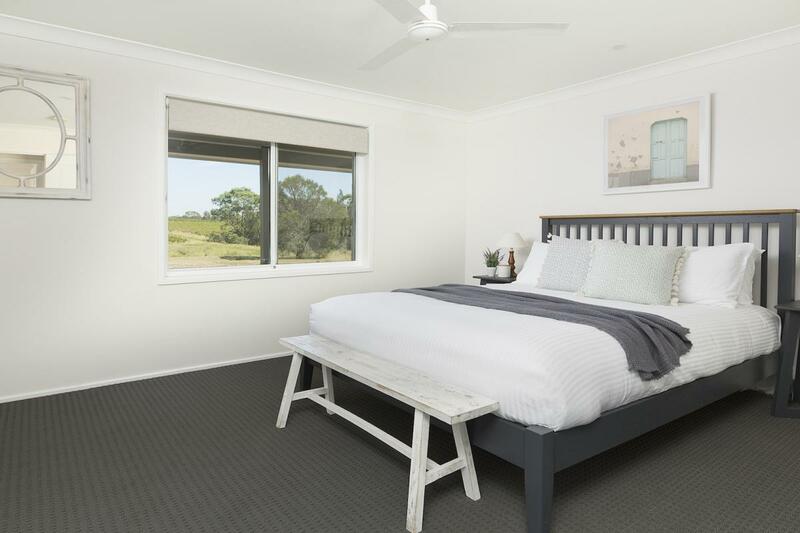 The open plan and light-filled interiors are so welcoming and provide guests with large informal living, dining and alfresco areas to enjoy in all seasons. 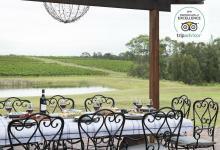 Centrally located on the popular Hermitage Road food and wine trail, Vico Monti is located 200 metres from the popular Ironbark Hill Vineyard making it perfect for wedding guests celebrating at Enzo weddings, or planning to enjoy a paddle of craft beer, wines, live music and bistro at the Ironbark Hill Brewhouse. 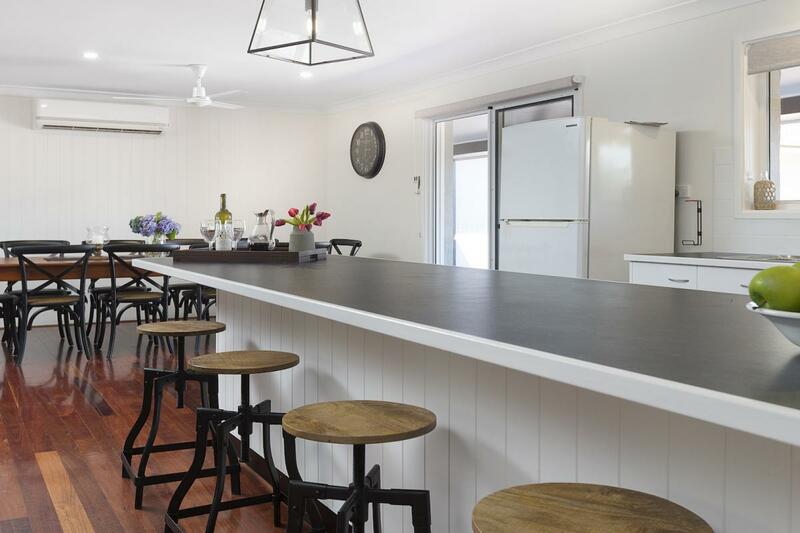 Foodies will be spoilt for choice with Yellow Billy restaurant at the Piggs Peake winery, just a stroll away, plus the highly awarded Muse Kitchen and Botanica restaurants only a short drive from the property. 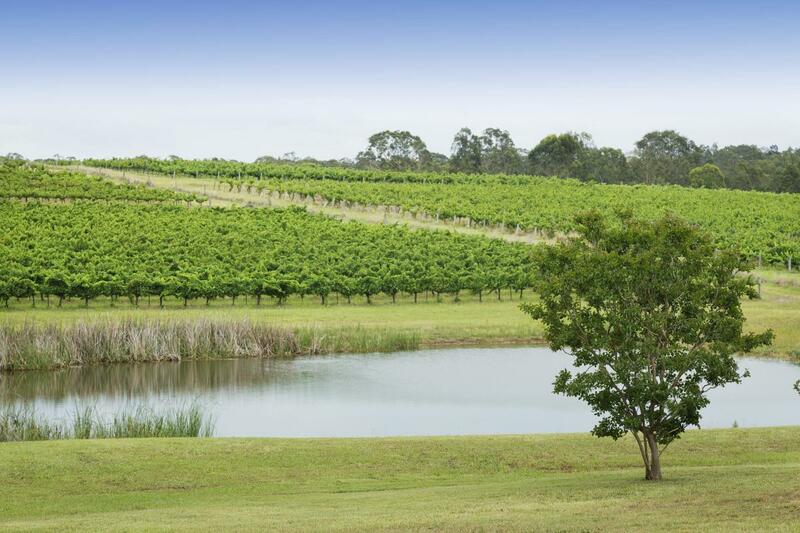 Explore nearby stunning boutique cellar doors such as Tintilla, Keith Tulloch, Wombat Crossing, or venture to the Hunter Valley Gardens, Vintage Golf Course or famous Hunter Valley Wineries such as Tyrells, Brokenwood, Leogate and McGuigan Wines just one a street away. 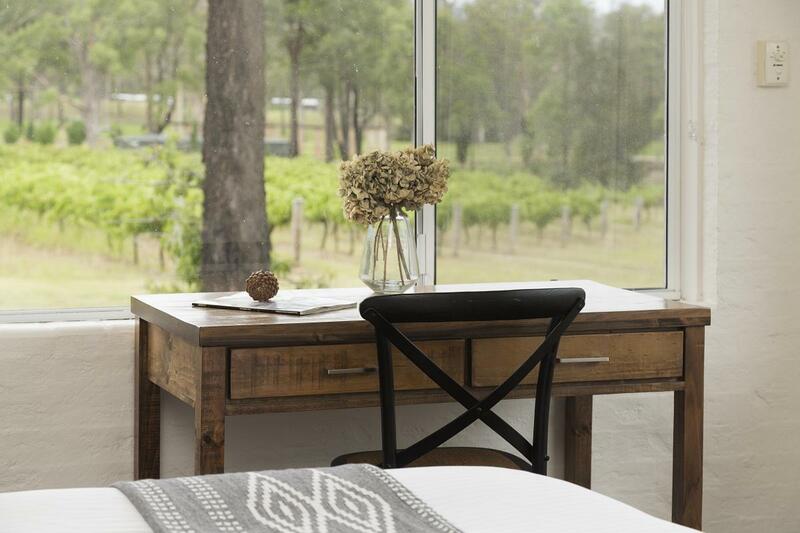 Guests enter via a spacious alfresco living and dining room, designed to be cool in the Hunter summer after a dip in the plunge pool (which is available from October 2019), or in winter it’s the perfect place to share a bottle of premium single vineyard Vico Monti wine and Hunter Valley cheeses. Perfect for alfresco this beautiful space has a dining table for 12. 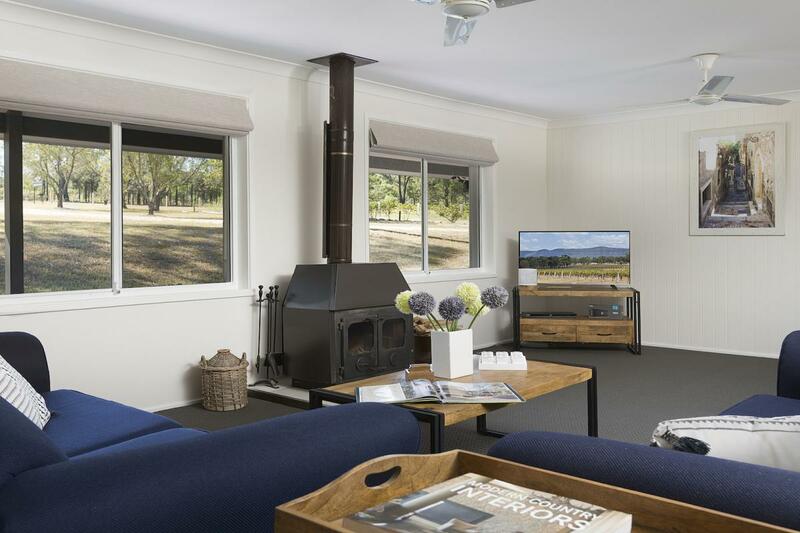 The centrepiece of this room is a stunning, hand crafted sandstone fireplace surrounded by deep comfortable wicker lounges, perfect for fireside evenings in any season. Entertain on the adjoining barbeque terrace with vineyard views or relax in the alfresco room where guests can take in the picture-frame views of the house paddock vineyard in any season. 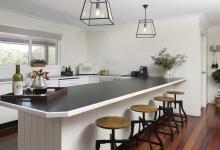 The main house features a wood burning stove, a gourmet kitchen with dishwasher, microwave and electric cooktop and oven - perfect for entertaining groups of families and friends. 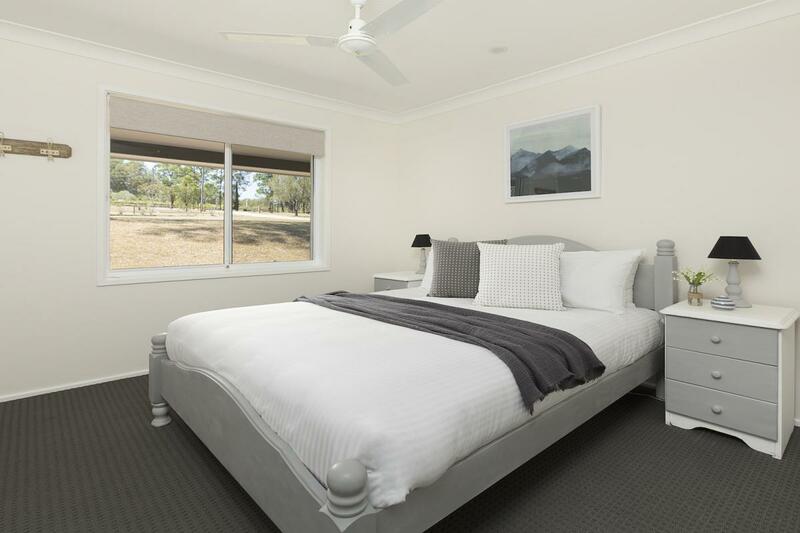 The main house features four bedrooms, two generous bathrooms and laundry facilities. The guest studio features a bedroom with queen bed plus single daybed, and separate bathroom with shower. 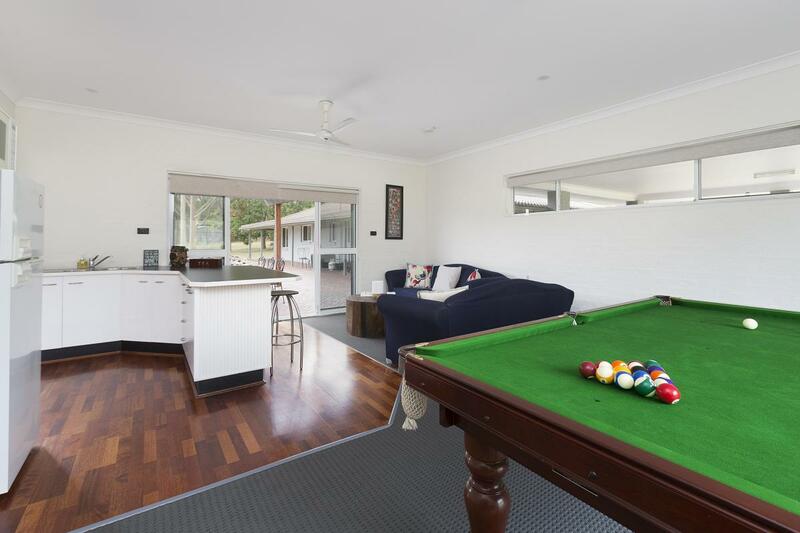 The studios living area features a comfortable queen sofa-bed for any additional guests, as well as pool table and bar. 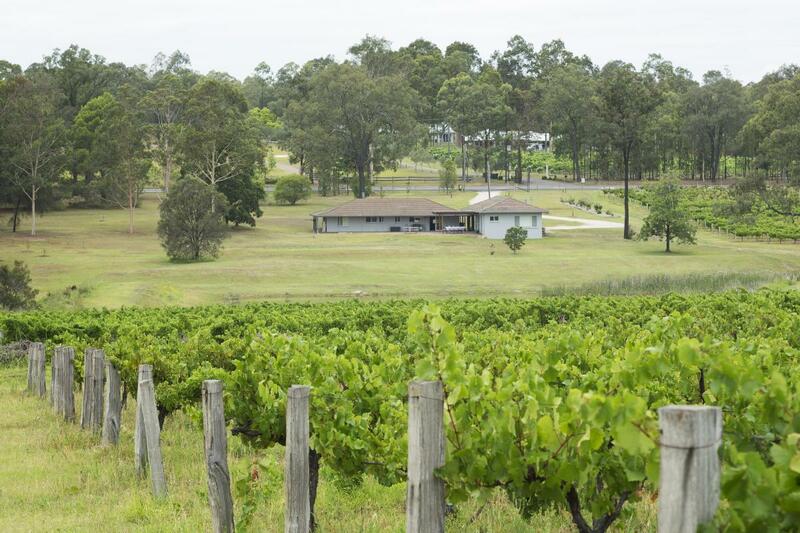 A great way to explore the area is to stroll or bike hire on the Hermitage Road cycleway that runs all the way along Hermitage Road, linking more than a dozen wineries along the vine-lined route from the New England Highway in the north to Broke Road in the south. There are several places where you can hire bikes on the Trail and set off on your two-wheel adventure. 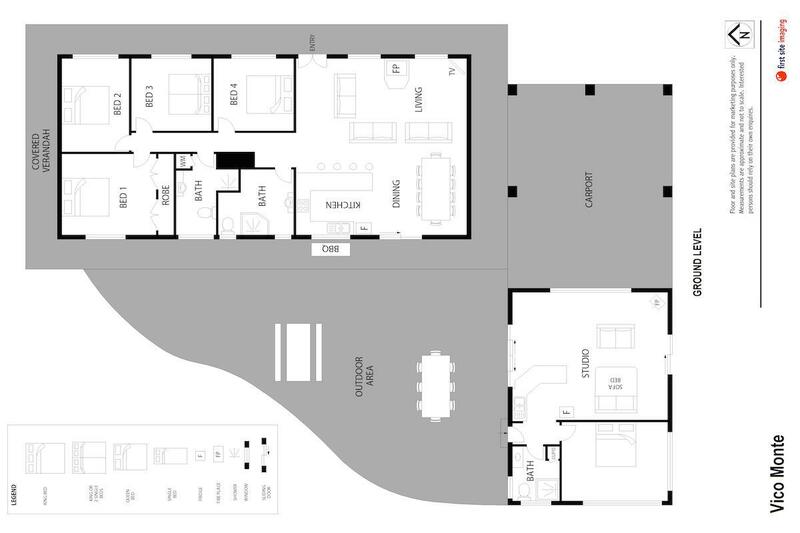 Vico Monti is a property that will embrace you and have you returning to, time and time again. 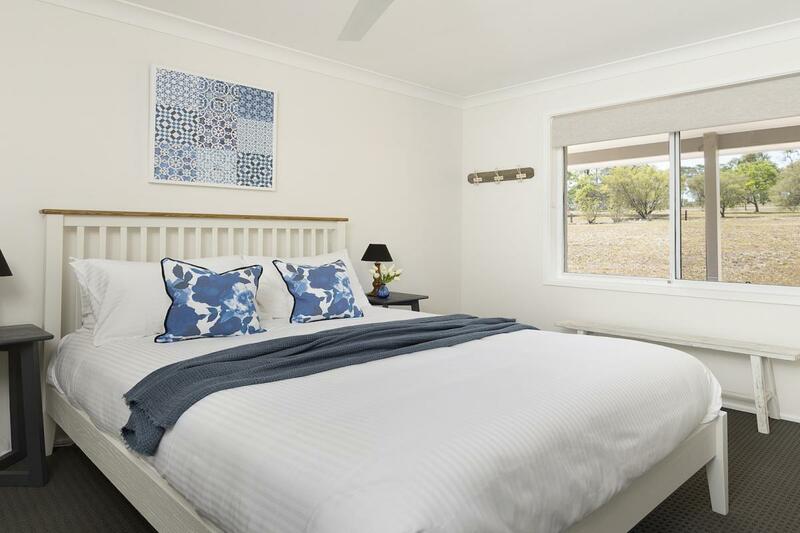 Maximum 13 guests or 8 guests in separate beds. 1 Queen sofabed available in lounge of the studio (on request only). Extra guests are charged at $90 per person per night. Children under 13 years are charged at $60 per child per night. 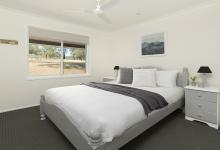 A security deposit/bond of $800.00 is required for your stay and is payable as a credit card pre-authorisation. This will be processed approximately 24 - 48 hours before your arrival, so please ensure the funds are available at this time. 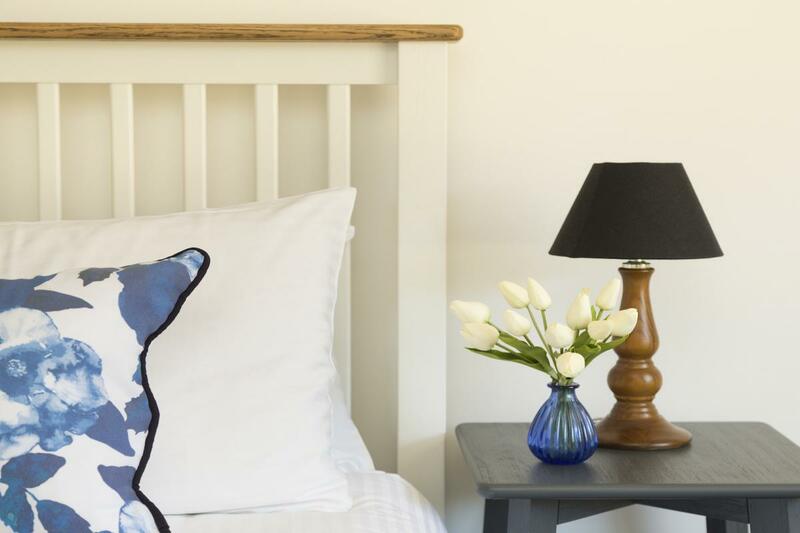 One night stays are available midweek. 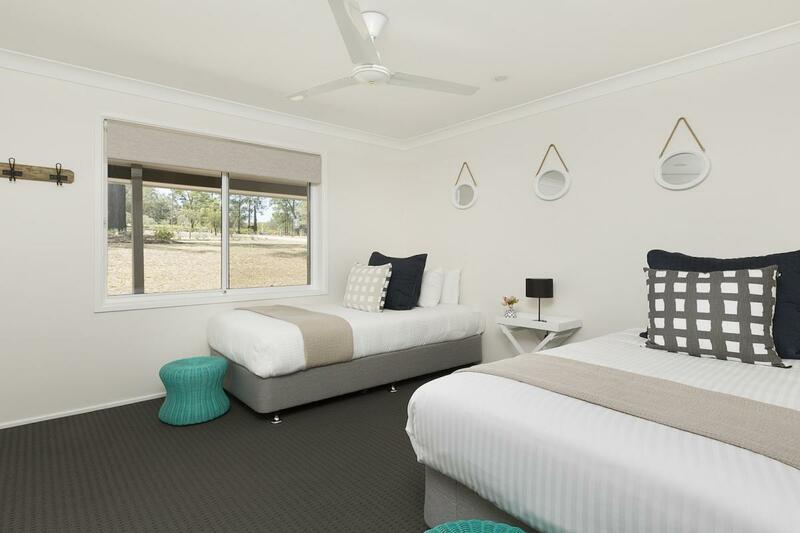 Weekend one night stays may be available but will attract a surcharge. Return visitor and the place again has improved. New outdoor area soon to be completed with a soon completed fire place will be great for the winter months and not mention a plunge pool will also be great for the summer. The central location allows for easy access to all local attractions. After long day it is great to return back to Vico Monti and chill. I must stay all facilities are clean, comfortable and the beds are great slept like a baby. Need to to get the name of the supplier! Property and house was absolutely stunning! So much scenery and all the facilities provided were amazing! Thank you for providing us with such a good weekend away! We will be back every year! Great! Once again, had a great time at a great location with great friends. We have stayed here before and loved it, which is why we came back this year and will come back again. Great accommodation and amazing views. 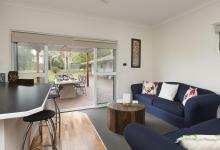 We thoroughly enjoyed our time away in such a comfortable, tastefully designed home with all the comforts required. 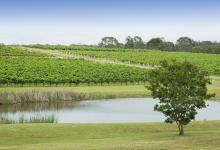 Great views, enjoyed a lovely BBQ dinner overlooking the vineyard with amazing scenery. Great location easy walk to local restaurants. 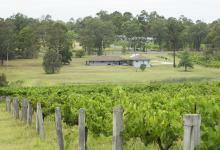 Central location to visit cellar doors. The house is very spacious. 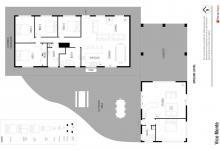 Bedrooms and are spacious and confortable. Views are amazing! We had a group of 10 and everyone loved it! Would definitely stay here again! Such a beautiful location. The home is lovely and the scenery around is gorgeous. 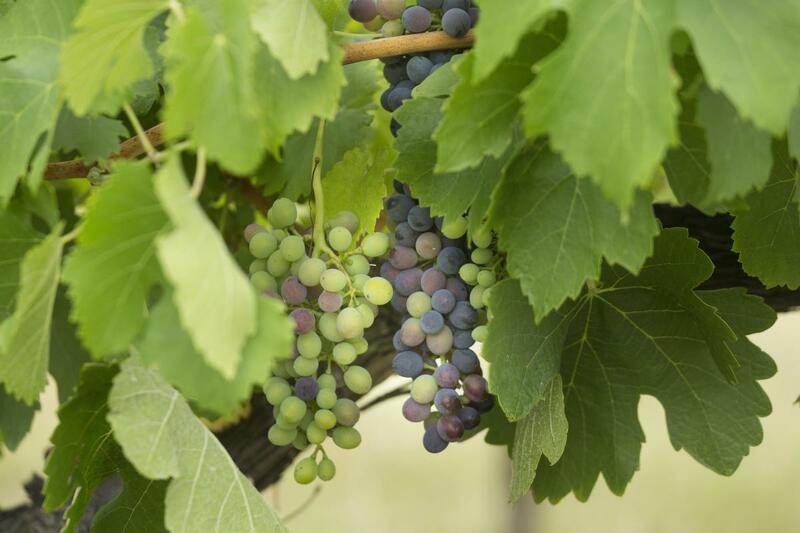 It's close to everything, with vineyards and restaurants close by. I'd love to go back and spend some more time there. Our stay at Vico Monti was absolutely lovely. The house was in such a beautiful setting with the dam filled with ducks and the kangaroos coming down at dusk to greet us. The bedrooms were decorated so lovely and everyone was comfortable. The kitchen had everything we needed. The bathrooms were large and the beautiful lavender toiletries appreciated. There was plenty of room for everyone. This place is so close to everything and we will definitely be back. Thank you for a comfortable, relaxing stay. A really great stay. Beautiful house well equipped for a group of people. 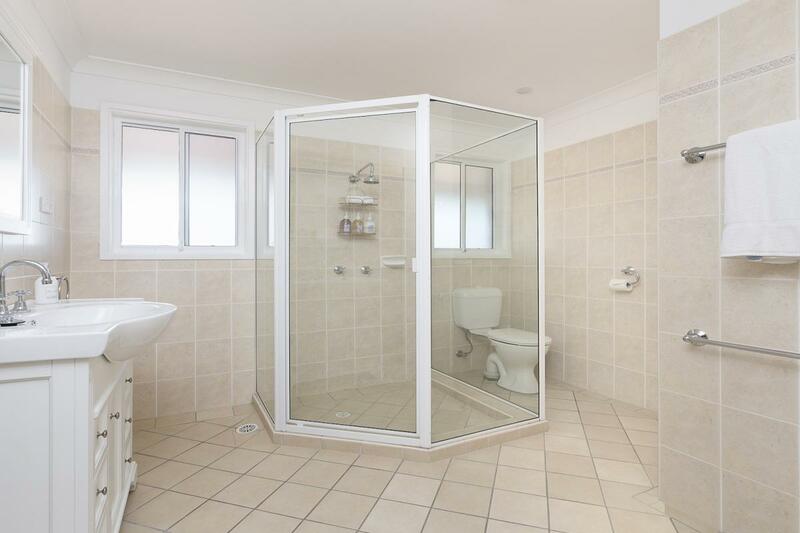 Location is great, close to everything but private and quite. 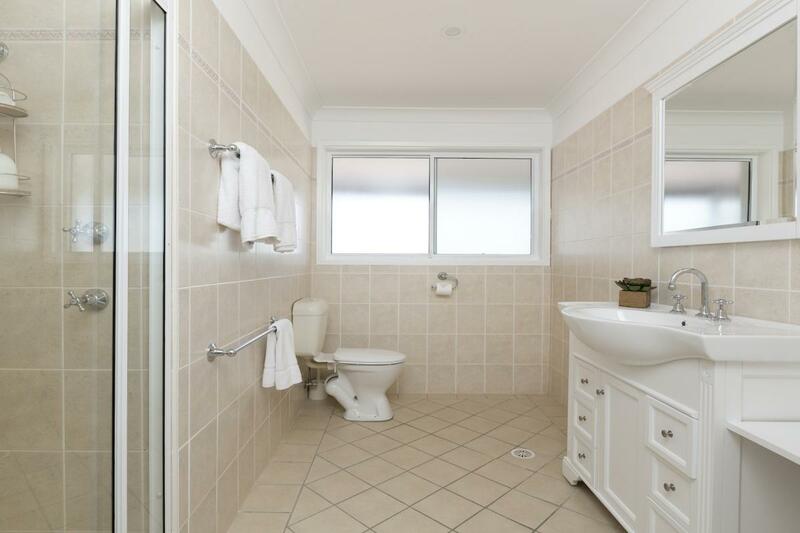 Beautiful property. We loved it. Very quiet and private. 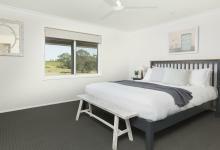 The home was well equipped and clean and made for a very comfortable stay. The style and decor was well suited to the name. Thank you for having us. Wow, how great it is to stay at such a lovely place with acreage that feels like you own it. When you rent this property no-one else can stay there... The large 5 bedroom property beautifully decorated with a very country style feel. It was wonderful to be able to sit on the back patio and watch the sunset over the vines. It is close to all the vineyards, breweries and restaurants. We will definitely rent this again. 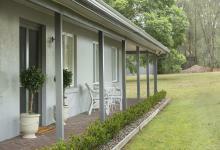 What a wonderful long weekend our large family had staying in this tastefully styled property. 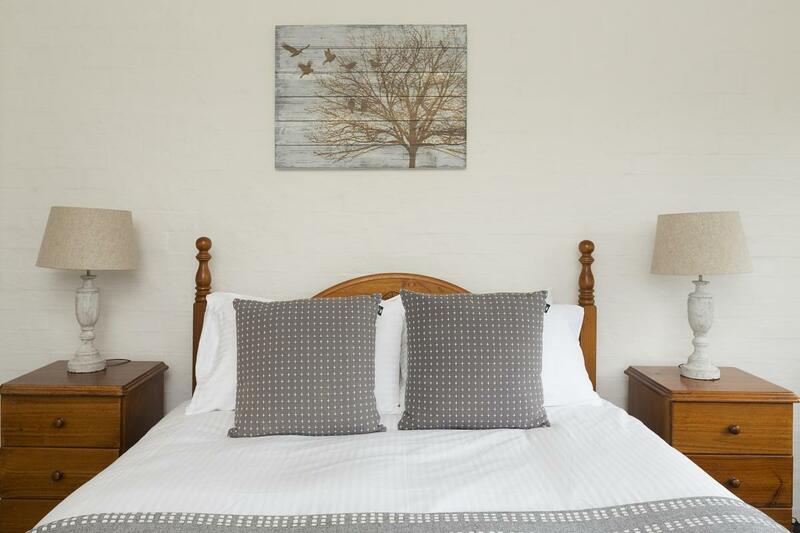 It is located within walking distance of Enzo’s wedding venue which meant we could all relax and enjoy the night with no need to worry about transport home. 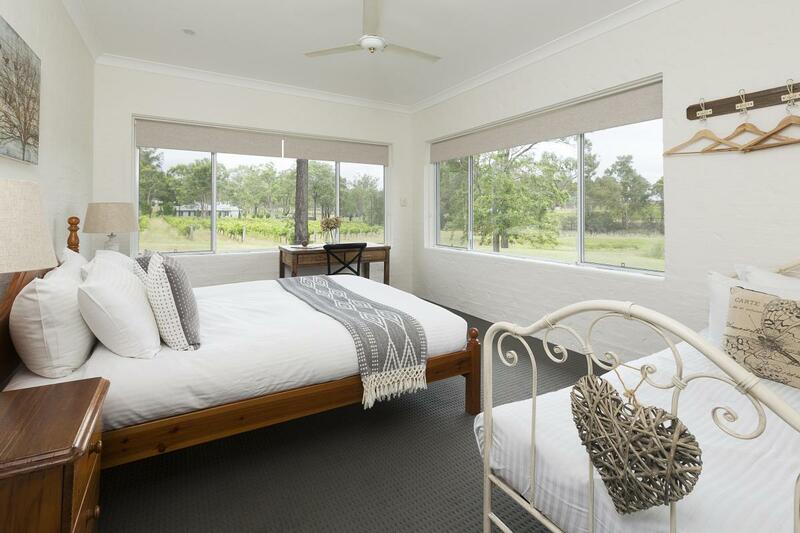 The property has everything you could want and a great outdoor entertaining area - overlooking the vines. Thank you! Brilliant. We will definitely book again. Everything was excellent quality. The small touches such as Nespresso machine, ample capsules, tea, Bluetooth speakers, etc. were all enjoyed. Great communication beforehand in terms of room set-up and check-in. Early check-in and late check-out by an hour was also facilitated. All in all, one of the best rental properties I have stayed in. 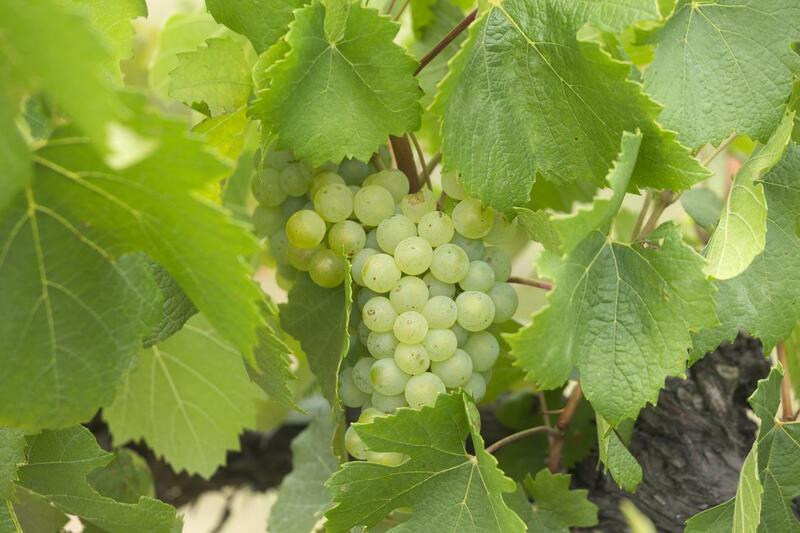 Great place right in the middle of a vineyard and well located in the valley. It was very spacious and great for a big group. Our hosts were incredibly attentive and went out of their way to help us. We had an excellent time - thank you! 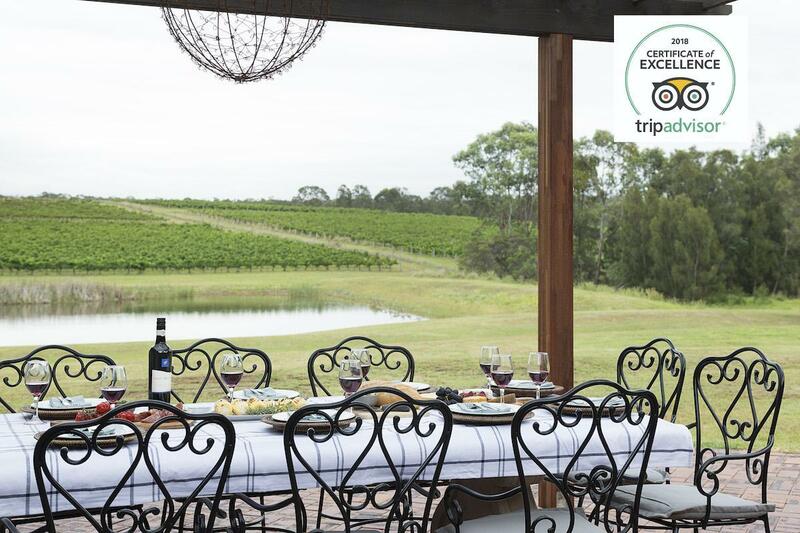 It was the perfect house for having a group of friends escape sydney and unwind in the Hunter Valley. The house was beautifully presented with its rustic furnishing and modern-country vibe. The view and sunset on the patio was very tranquil and the position of the house was very central to most places. 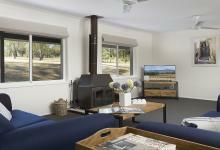 We thoroughly enjoyed our stay and would highly recommend to any group/family/friends who want to stay in a house. Thank you for our child-free weekend escape! Vico monte is a great place to stay. The house is spacious and well equiped for a weekend away. The group of us really enjoyed ourselves. The view over the vineyards was beautiful, especially at sunset. 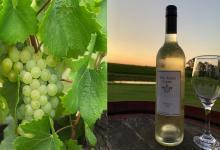 The house is conveniently located for visiting vineyards.